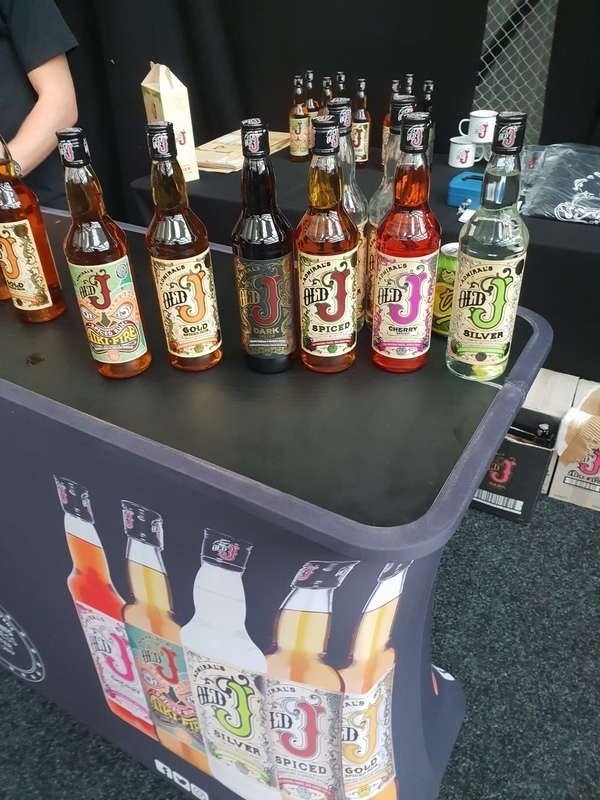 Have you found an online vendor selling Old J Cherry? I tried this at the Exeter Rum Festival and really enjoyed it. It mixed really well with coke, but was equally delicious on its own. No burn, smooth and very more-ish! I find the Old J spiced to be too sweet and too artifical. I actually prefer Rolling Calf as I think it is less sweet and more interesting in terms of the vanilla and lime hit - and it has a sort of dry tang on the tongue. This is actually, much more interesting than the Vanilla (ie Spiced) Old J. The cherry is noticeable on the nose and taste, but it is definitely not overpowering. It's not quite subtle, but it's medium-subtle. In that sense, it's refreshing because a lot of flavoured spirits are a bit overpowering. At 35 per cent, there will be those who mark this out, straight off, but it's worth a go, even if it does retail at more than the Spiced. Was expecting a huge blast of cherry with this but all I got was very sweet vanilla. Not nice straight as a nasty burn hits straight away. It comes alive with coke and tastes like cream soda but after two of them it becomes sickly and I wanted to go back to a proper rum. A bit gimmicky this one - and where's the cherry??? When having a taste of this I was anticipating a huge amount of cherry in both aroma and taste. Pleasantly surprised that their usual offering of spiced gold infused with marasca cherries was rather more subdued and balanced. If you are looking for a cocktail with an added cherry flavour this might actually do well. I was apprehensive going into this one at Rumfest London 2016, but found the 'rum' to be surprisingly nice, with an interesting spice with a grenade type cherry taste. Actually OK straight, little sour and seriously sweet finish, made to be a mixer and I'm assuming it makes for a nice cocktail. Lovely cherry spiced rum . When I first tried this years ago I hated it but as we grow and develop taste it has become a change of a spiced rum ..
and as a Rum Manhattan ingredient, adds a lovely cherry flavour to the maraschino's already in the drink,ok as a sipper, but more made for cocktails.